As the video shows, Beau and his family have been through a lot. This story is a prime example of the ripple effect. The desire to make life better for others prompted Logan to connect with Advanced Ag Concepts. They were compelled to help and ultimately worked with Logan to create five additional brackets, which were fitted to five Pathfinder Wagons donated by Radio Flyer. All of this started with two parents who wanted to make their son’s life better. We were first introduced to the Ruder's and their story when Chantelle, one of our engineers, came across a post on the Society for the Advancement of Material and Process Engineering (SAMPE) forum. 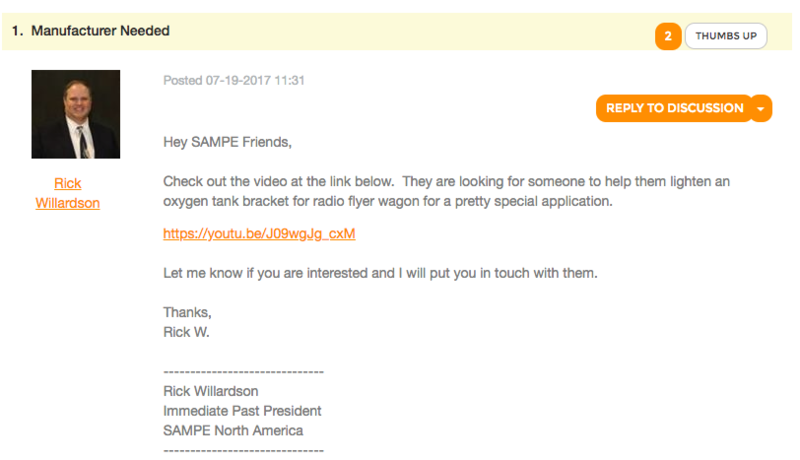 Rick Willardson was the SAMPE North America President at the time. Rick’s former employer/boss, James Richmond, had reached out to see if he knew of anyone who could help his nephew Logan. Rick shared the video to the member forum, and Chantelle happened to log in to the forum and see it. She was moved and had to share it with Northwest Rapid’s owner, Heather, and the team’s other engineer, Ken. The final design. 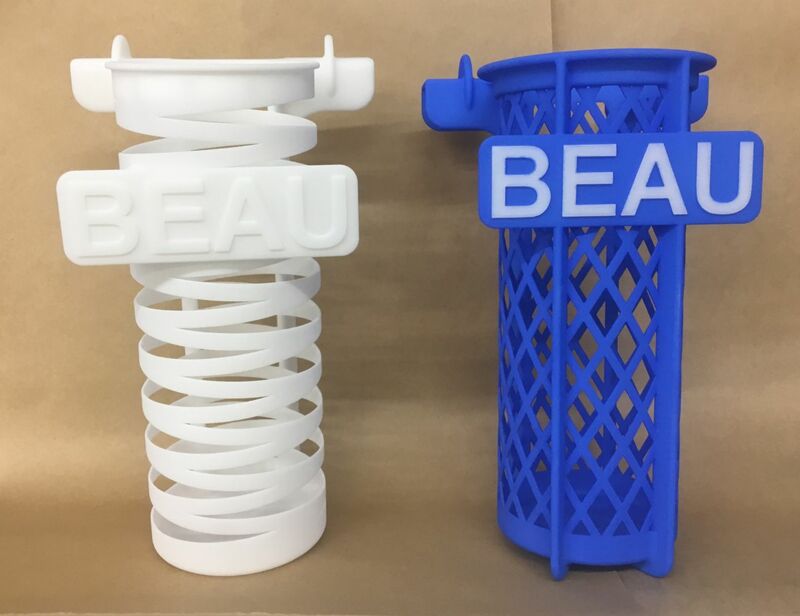 Both brackets were made with nylon 12. Have you ever wondered how our machines work? After the lasers sinter the powder, there's still work to be done. Cameron, our SLS Operator, demonstrates the process of breaking out the bracket from what we lovingly refer to as "cake". 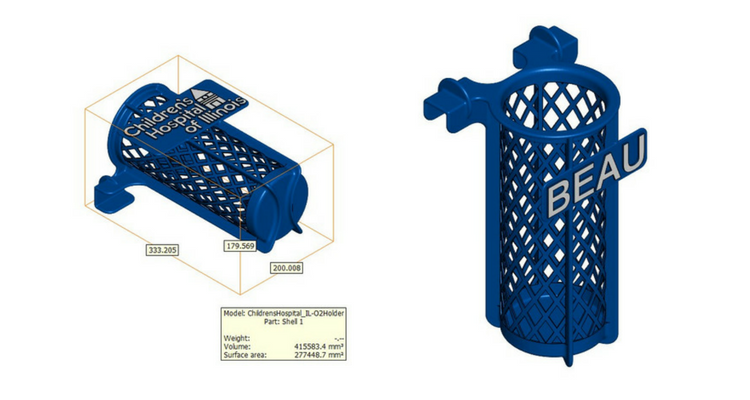 After a design is printed, we break away the unsintered powder, which can be recycled and in some cases reused. We try to remove as much of the excess powder as possible. Then we sandblast the bracket to remove the remaining fine loose powder. It looks like the final brackets were well received, and we couldn't ask for more. We are so fortunate to have the ability to be involved in this little man's life, hopefully making it better in the process. 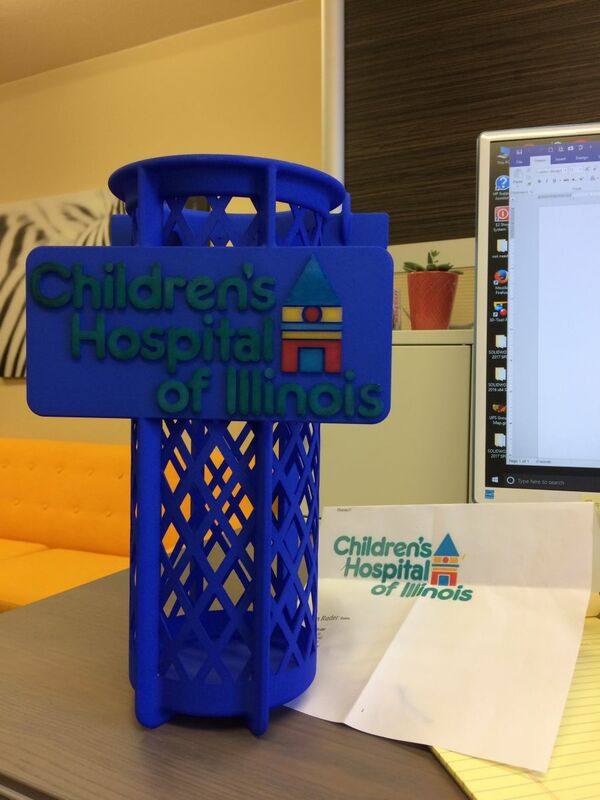 We have a few more brackets to donate to the Children’s Hospital of Illinois, and we look forward to sharing that story next. 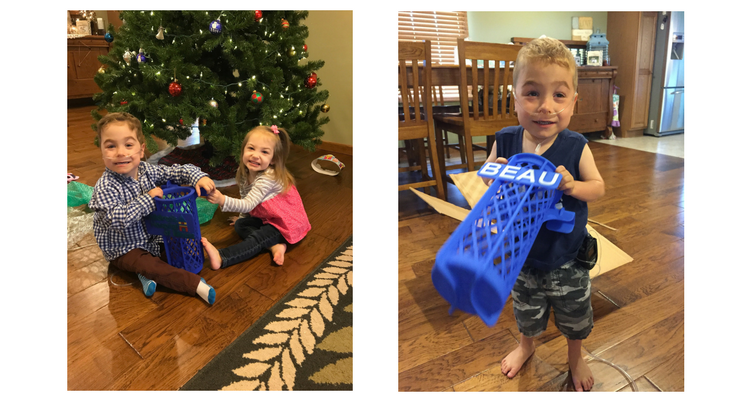 Learn more about the Children’s Hospital and what they’re up to on their website, and follow Beau's story on his dad's Facebook page.